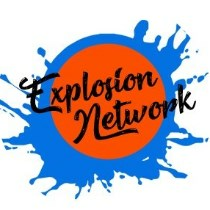 Buy Explosion Network a Coffee. ko-fi.com/explosion - Ko-fi ❤️ Where creators get paid by fans, with a 'Buy Me a Coffee' button. Secured Payments. Support goes to Explosion Network's account. To make our video shows run a lot smoother and also open up the ability to do new things, we'll next be adding an Elgato Stream Deck to our equipment.